The AYA Trio was formed in 2013 at the Curtis Institute of Music. 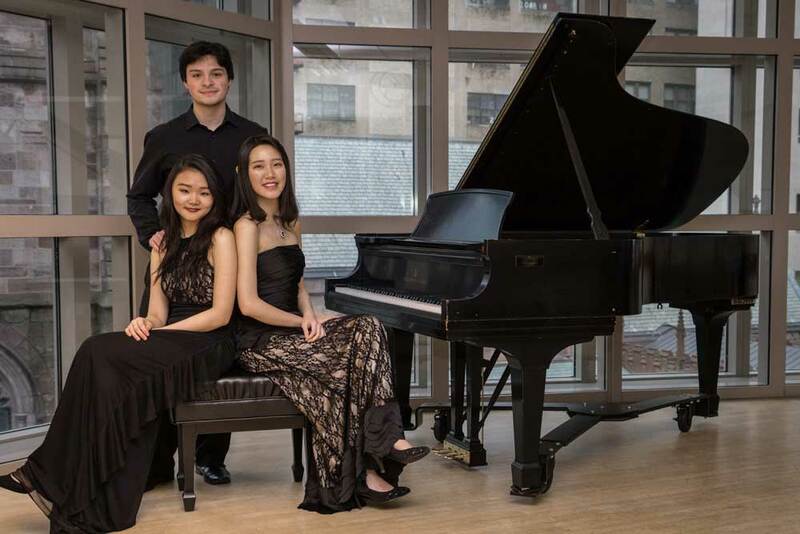 The Trio, comprised of members Angela Chan, Andres Sanchez and Ying Li, has performed at several notable venues in the Philadelphia area and will participate in the Great Lakes Chamber Music Festival this summer. 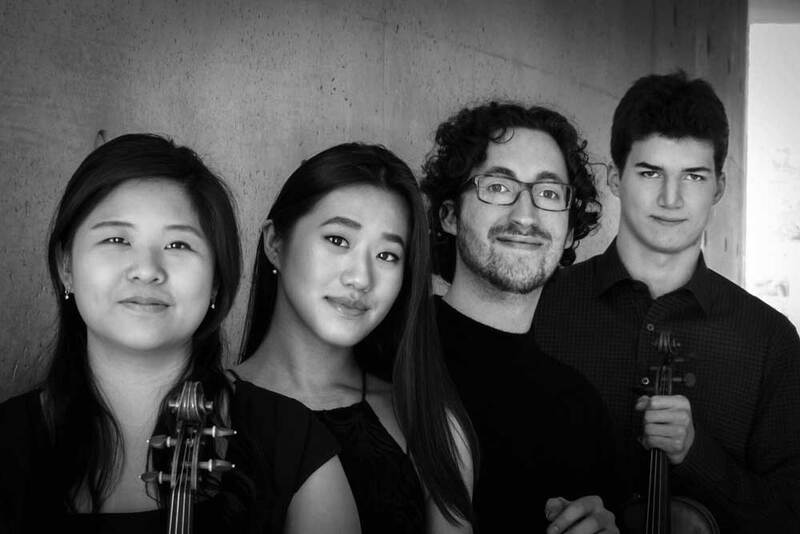 Cleveland-based Belka Quartet was established in Fall 2014 with members Beatrice Hsieh and Charles Gleason, violin, Serena Hsu, viola, and Daniel Blumhard, cello. As Spring 2018 Apprentice Quartet in the Cleveland Institute of Music’s Intensive Quartet Seminar, the Quartet holds the Cleveland Chamber Music Society Young Artist Residency. 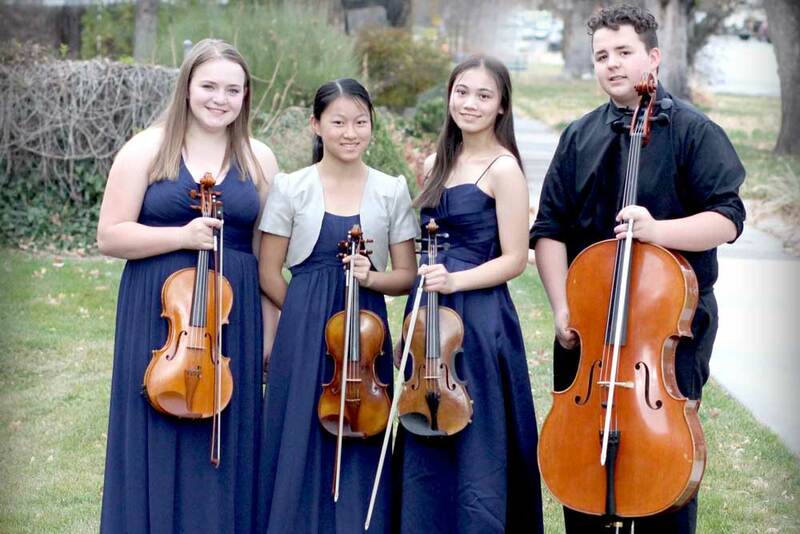 The Bear Quartet is part of the Gifted Music School Conservatory in Salt Lake City. The quartet takes its name from an acronym of its member’s names: Benson Marshall, cello, Ellen Hayashi, violin; Abby Smith, viola; and Rachel Call, violin. In addition to performing at numerous community events, they recently were invited to perform for the Utah State Senate and in a masterclass for Laurie Smukler of the Juilliard School. Chicago-based Quartet Callisto has become of laureates of the Discover National Chamber Music Competition and Fischoff National Chamber Music Competition. 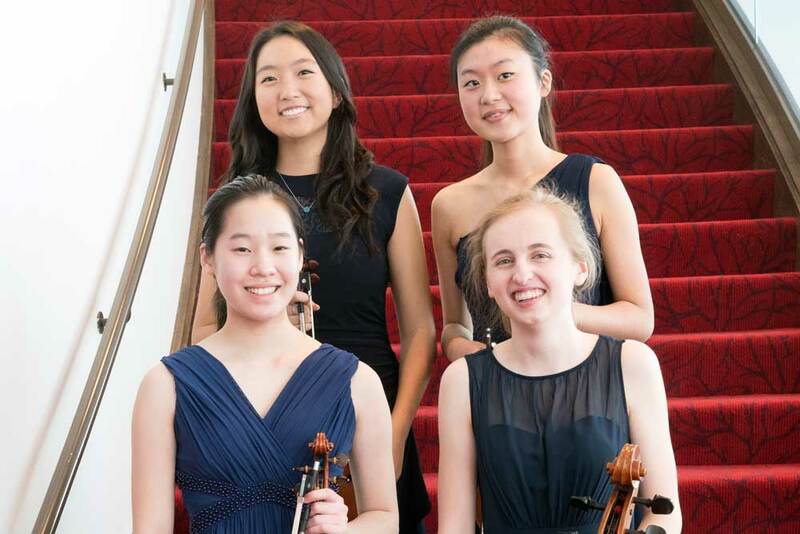 The group is comprised of violinists Hannah Lin and Adele Lee, violist Yonjoo Seo, and cellist Rowena Bakke. They participate in the Midwest Young Artists Conservatory Chamber Music Program of Highwood, Illinois, and the Chicago Youth Symphony Orchestra in Chicago, Illinois.